The internet is not the same place it used to be. There once was a time where nearly any video could explode, and the amount of legwork that went into getting a video in front of people was very low. In another period, you used to be able to load up your tags and descriptions with tons of juicy keywords to game the system. The age of tricking YouTube SEO has passed as well. Fortunately, in 2018 we have a very strong understanding of how to get your YouTube video seen. Believe it or not, it is still possible to game the system, but only in a more legitimate matter. Google and YouTube have been making a large push to punish misleading and low effort content, so the trick is to be honest, and high effort. If you want true success on YouTube, or any other platform for that matter, you’ll need to learn that content is king and that there are no shortcuts. We’ve assembled this guide to show you how you can go about this in the most effective, efficient manner possible. This guide is broken down into three parts. Things you should consider while making your video. How to maximize potential when uploading your video. Strategies you can employ after your video has been uploaded. A lot of articles that we’ve seen covering this topic are filled with fluff. “Have a Good description”, “Keep it short”, “Use Tags”. Not very helpful if you ask me. That stuff is obvious. 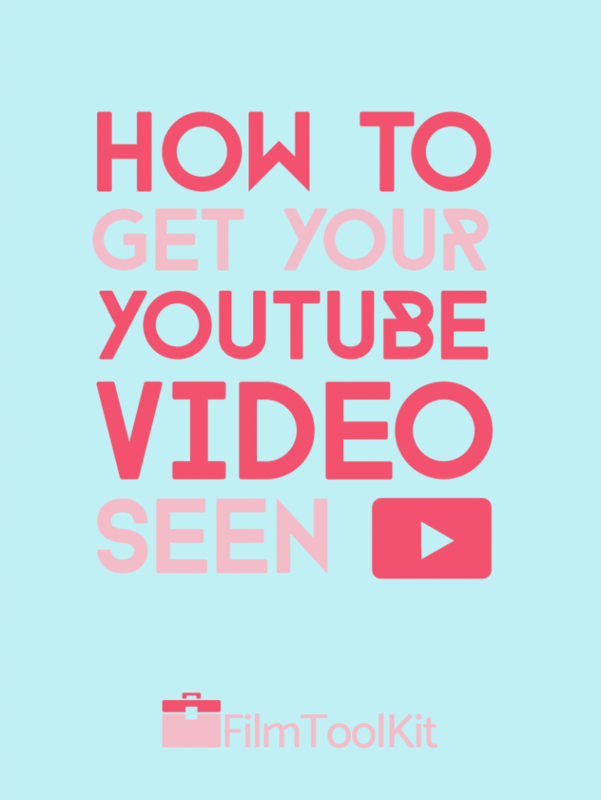 This comprehensive guide will take you through every actionable step you can take throughout the entire YouTube production process to get as many views as possible in a legitimate fashion. If you follow these guidelines and make high quality videos, you are almost certain to succeed. 1.1 THE NUMBER #1 PRIORITY – Keep Them Watching. For As LONG As Possible. 1.1.1 Structure your videos in a manner that inspires curiosity. 1.1.2 Put the best stuff in the middle. 1.1.3 Be as thorough as possible. 1.2 Figure Out The Intent Of Your Content. 2.1 Don’t Be Afraid To Use A Clickbait Title! 2.2 Description and Metadata still matter.. a little. THE NUMBER #1 PRIORITY – Keep Them Watching. For As LONG As Possible. This is the most important thing in the guide. That’s why we put it first. If you’re only going to spend a few minutes reading this guide, spend it on this section. There are several obvious ranking factors you probably know about. Subscriptions, Likes, Shares and comments all play a very large role in how your video performs, and we will talk about those later. What you may not know, is that in recent years, YouTube has been favoring longer videos between 10-20 minutes in their ranking system. The average length of a first page video is around 15 minutes long. However, this actually has less to do with the video length, and more to do with the amount of time people are spending watching your videos. So definitely do not artificially extend the length of your videos. If you try to turn a 6 minute video into a 10 minute video with padding and useless filler, you’ll likely turn more people off and reduce your overall watch time anyways. Here’s a few key steps that will keep people hooked on your videos. Structure your videos in a manner that inspires curiosity. Have you watched Stranger Things? You should. It’s really good. Don’t worry, we’re going to avoid spoilers. If you’ve heard anything about the show, you may know that people are VERY prone to binge-watching it. According to the Nielsen data, over 361,000 US viewers watched the entire second season as soon as it was made available. Even for a show of this popularity, that number is quite staggering. That means that all of those people sat through 9 hours of content without getting bored. If you can get people to sit through 9 hours of your YouTube videos, your stardom is essentially guaranteed. But how did Stranger Things do it? Sure, there’s the charm, the nostalgia, the superb cast, the cinematography – but I’d argue there’s something much deeper at work here. They did it by forcing you into a loop where you are being supplied with a constant stream of new questions and answers. Getting the viewer to ask questions is important, but if the audience is bombarded with too many questions and not enough answers, they begin to get confused and lose interest. What Stranger Things excelled at was finding the perfect balance of questions and answers. While new elements are constantly being introduced, old ones are being answered in a satisfying rhythm. 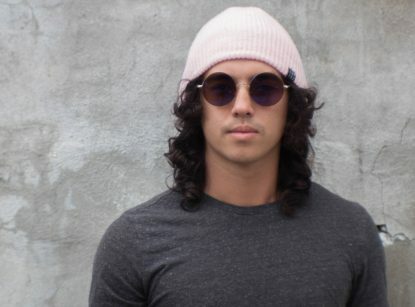 So how the hell do you apply this design philosophy to your skateboarding vlog? Well, just think about what types of questions you can make your viewers ask. Here’s a few channel archetypes with potential questions you could inspire. These are just a few examples to get the message across that the structure is possible regardless of what type of content you have. The key is to have a constant stream of stimulating content and satisfying conclusions. By withholding “juicy” information for even a minute or two, you are keeping your audience engaged and focused. Put the best stuff in the middle. Massively successful YouTubers put this trick to use all the time. You may have seen that there’s tons of videos on trending every day with big flashy titles. “KICKED OUT OF MCDONALDS”, “I REGRET MY HAIR TATTOO”, “THEY CALLED THE COPS”. Yeah, it’s a bit obnoxious, but that’s not the point. If you click on these videos, it’s very uncommon that the first thing you see is someone getting kicked out of McDonalds. Look at this #4 trending video. The titular event happens right at the halfway point. The middle of your video is the best place for your juiciest bit of content. Put it at the beginning, and they’ll tune out after they see what they came for. Put it at the end, and they likely won’t have the attention span to make it there. By placing it in the middle, you will have an appropriate build up, an exciting climax, followed by a cool-down period where they are still riding the entertainment high from your best stuff. Incorporating this trick with the previous one will make your content addicting in a way that your audience won’t be able to describe. Be as thorough as possible. You basically want your content to be as short as possible, while also being as long as possible. If you’re educating an audience on a skill, try to be as comprehensive as possible while remaining concise. You want to keep them engaged, but can’t risk them getting bored. This recent video is outranking the old #1 video by including twice as many metal-cutting methods. If you’re making educational content, sit down for an hour and think about every single question your viewers may have when watching your videos. Hell, look up similar videos and check out what kinds of questions are being asked in the comments! Look at what your competition is leaving out – it’s your opportunity to edge them out of the market. If you’re making entertaining content, expand the amount of footage you shoot and shave it down until it is as refined as possible. Don’t try to shoot a daily vlog. Your life is nowhere near as interesting as someone like Casey Neistat. Instead, try vlogging every day for 3-4 days, and the compressing the best moments from every day and cutting out anything that isn’t absolutely awesome. Figure Out The Intent Of Your Content. This video is ranked one because of its high production value and unique presentation style. If you’re not a celebrity, and you don’t have an interesting life, nobody cares about your vlogs, bro. Very few people actually have the presence to hold people’s attention, and that’s okay. You don’t need it to be successful. What you do need, is to think long and hard about why people should be watching your video. You don’t need to reinvent the wheel and do something that’s never been done, but you do need to have unique value in one way or another. No matter what, we’re at a point where there is no such thing as a niche without competition. So how are you going to beat the competition? By applying the same philosophies that all successful startups do. Start by analyzing the other videos in your niche – what do they have, and what are they missing? Let’s say you’re making educational videos. You need to beat the top ranking video in either content or presentation. Content – For smaller niches, this is usually your best choice. There’s a lot of ways to beat someone in content. You can make a video that’s more comprehensive and detailed, a more concise one that cuts out all of the filler, or one that approaches the topic from a new, unique angle. Presentation – In high competition niches, this is a much easier choice to edge out the competition. In the photo example, the two competing videos have top tier content that’s nearly impossible to beat. YouTuber Bill Wurtz, however, managed to outrank them by presenting the content in an entertaining, comedic fashion with graphics and animations that must have taken forever to create. A sure way to outrank the competition is to dominate in both! We should clarify this. You don’t need to be one of those YouTubers that begs for a like comment and subscription at the beginning of their video. You can shoot a reminder at the end of the video once your content has been delivered, but it’s a very poor marketing strategy to go for a close before you have offered any value. You can beg for all the interaction you want once you’ve shown them your content and held their attention. However, despite the fact that it does work, directly asking for engagement is one of the least effective techniques you can use. Great YouTubers have content that begs for engagement, so that they don’t have to. Here are a few excellent tactics you can employ to create engagement organically. According to this other chart from Backlinko, There is a large correlation between number of comments and video rank. The best way to generate conversation is by prompting a discussion. There are an infinite amount of topics that are extremely divisive. We’d say avoid political stuff to prevent all-out flame wars, but it’s great to stir up a little bit of controversy every now and then. This is a great way to connect with your audience, and will get many people to comment who otherwise never would have. If you’ve got some disposable income you are willing to invest in your channel, running contests can be super effective. And you get a gift card! Your investment can be as small as a $20 gift card to a related store, so the barrier to entry on this one is really low. However, the results you get will largely scale with the quality of prize you are offering. If you have no cash to invest, you can even run contests with the reward of being “featured” in a future video! Ironically, the more popular your channel is, the better a free strategy like this will work. When you’re a big YouTuber, people will fight just to get your attention. While begging for subscribers is great and all, it’s much better to make your videos do the begging for you. If you can create content that people really want to see, they will make sure themselves that they get to see it. Try to always be planning a few videos ahead so you can tell people what content they can expect. Don’t be afraid to leave videos on cliffhangers that will be concluded in a future video. In real time, it will net you subscribers, and in the long run, it will push viewers to watch more than one of your videos. This is one of the less essential tips on our list, but it definitely helps and is worth your time. Video outro screens are great for your channel’s branding, giving you a sense of uniformity as well as production value (as long as it looks good). Use your video outro screen to ask for engagement in a more subtle way, drive people to your social media, and increase views on similar videos. Diagram of Imaqtpie’s excellent outro screen. Above is an example of a really well designed outro. 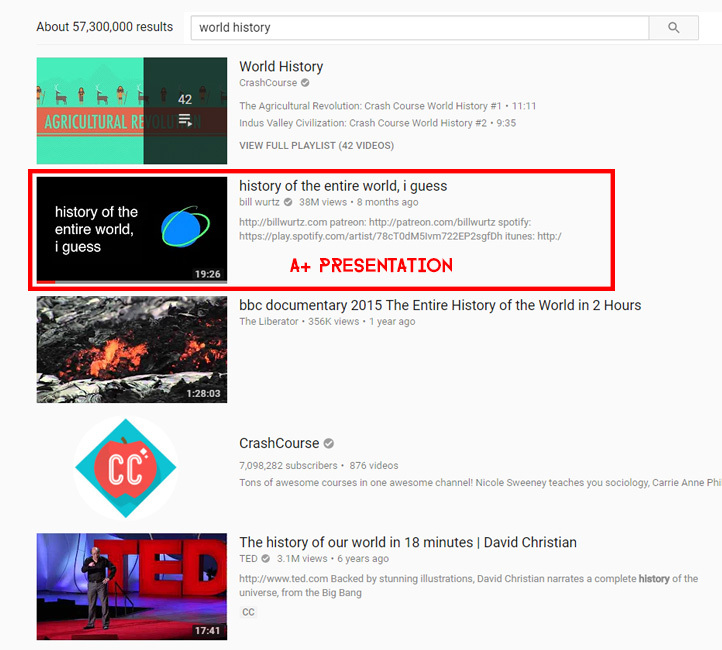 You’ll be surprised at how many viewers will spread to your related videos once this is implemented. Collaborations are one of the best way to get your content in front of your intended audience and establish yourself in your niche’s community. No matter how large your channel is, this is an excellent way to expand. Collaboration creates a win-win environment where both collaborators gain exposure with each others audience and collect highly targeted subscribers. This is a great tip for those just getting started. Often times when you have no subscribers or views, new viewers are less likely to give your channel a chance. By getting on a similar channel, you are overcoming this barrier and exposing yourself to them. If the content is good, you’re certain to gain some subscribers. Don’t be afraid to collaborate with YouTubers that are smaller than you! These are actually even better, as you will likely establish a stronger relationship with this person and open up opportunities for future collaborations. You never know who is going to go viral – be good to your “competition” and they will help you in the future! Don’t Be Afraid To Use A Clickbait Title! Source: Cracked I don’t know about you, but I absolutely need to hear about how The Muppets caused 9/11. Some people might see this and immediately disagree, but hear me out. We would never support clickbaiting with titles that do not accurately describe your content. Don’t be one of those (GONE SEXUAL) pranksters. If you have content that you know people are going to want to see, you’re doing them a favor by manipulating them into viewing it. When done in a White-hat (honest) fashion, click-bait titles can help your videos explode without the usual stigma and backlash. Here’s a quick rundown on the Do’s and Don’t’s of clickbaiting. Source: Buzzfeed 90% of people won’t understand?? I’M SPECIAL! I’LL UNDERSTAND! DON’T – Lie about the contents of your video. This will piss people off, tarnish your reputation, and make your videos collect dislikes, damaging your rankings. DON’T – Try so hard to make every video have some crazy headline-breaking event. Just try to describe the content in the most intriguing possible manner. DO – Think about the best possible way to word your title. “This shark almost ate me” with a thumbnail of the shark will outperform “I had a close encounter when I was surfing” with a thumbnail of your surfboard. DO – Draw inspiration from clickbait experts like Buzzfeed and Cracked. You can straight up copy their title formula and apply it to your content. DO – Take advantage of human flaws like ego and pride. See our example from Buzzfeed. Description and Metadata still matter.. a little. Over the past decade, the importance of your tags and description has decreased significantly, as people have learned to abuse them. However, they still do carry some weight, and can be the key behind your video getting any organic traffic to begin with. Today, we know that YouTube has software capable of transcribing video content without metadata like descriptions and tags. This means that it’s easier to rank with high quality content, and you don’t need to worry about your metadata too much. The days of tricking the algorithm are over. Many popular videos rank well with a blank description containing nothing but links to their social media. 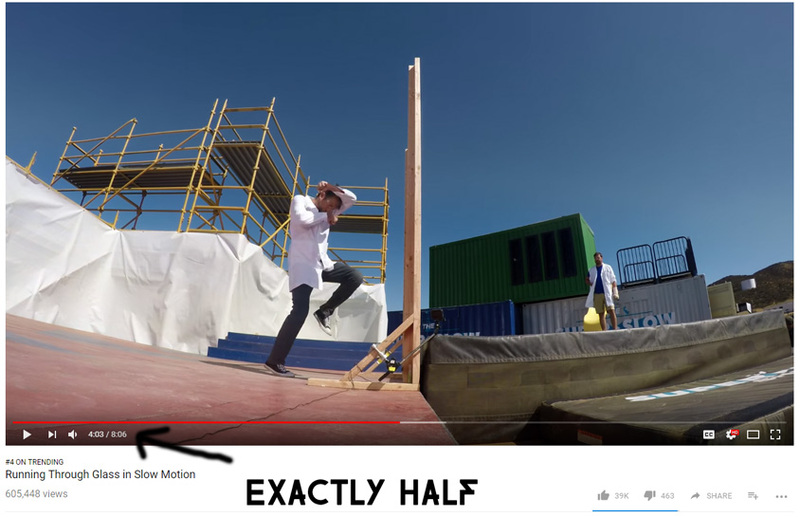 This is a good use of your description space as well, but it definitely doesn’t hurt you to include a 2-3 line summation describing the thesis of your video. Tags carry a lot less weight than they used to, but still carry some weight. Think about what keywords people would be searching for when they stumble upon your video, and preemptively include it in your tags. YouTuber Sharney Rodriguez appeals mostly to males below 25. Take a look at which of his thumbnails perform best. The Metadata that helps the most is by far, your thumbnail. Having a good thumbnail has a large impact on how attractive to video is to potential viewers! A good thumbnail alone can make someone click on your video without even looking at what it’s about. I’m not trying to tell you to shoehorn hot girls into all of your videos. Just look through your video, (which should be entertaining if you’ve learned anything here), and find the juiciest frame that appeals the most to your target demographic! This might be attractive men, women, explosions, people reacting strongly, puppies, stunts, memes, or any other type of image that creates an emotional response. 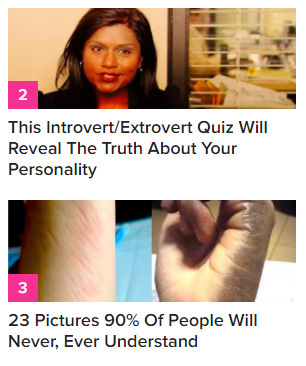 In addition to whatever psychologically evocative imagery you choose to include, it’s generally a good idea to create a uniform aesthetic across all of your thumbnails. They shouldn’t be identical, but color schemes and/or fonts are a good way to give your channel a sense of cohesiveness. Successful fitness/comedy channel BroScienceLife is a good example of a uniform thumbnail aesthetic. Note: As a rule of thumb, you should avoid putting things in the thumbnail that are not in the video. When people are lured in by something they like, only to find out it’s not there, they’re likely not to return to your channel. Be honest, but again, represent yourself in the best possible way. Sure, It’s always 5 o clock somewhere. But if your target audience is asleep when you post your video in the middle of the night, it’s going to hurt you. By using your demographic analytics (which we will discuss later), you can figure out the time when most of your viewers will be accessing your videos. If your audience is working adults ages 25-40, you’ll probably fare best posting either around 11-12 during their lunch break, or 5-7 when they are getting home from work. Children under the age of 18 however, will likely be watching videos around 3-4 PM on weekdays after school gets out. Consider their geographic location and factor the time zones into this decision as well. Also, try to avoid posting on major holidays. Most big YouTubers understand this and post their special holiday videos a few days prior, as they know that most people will be spending time with their family away from the computer. Even the analytics for this website sink to record lows on big holidays. A lot of this stuff parallels the tactics we use at FilmToolKit to spread our content throughout the internet. If you’re reading this right now, clearly, it works! This is an incredibly effective strategy, especially if you’re still just getting started and only have a small following. If you’ve followed our previous advice on prompting a discussion and encouraging comments, chances are you’ll have a few people leaving remarks on your video! The key here is to reply to every single one. If someone asks you a question, give them a long, well thought out response! Thank them for watching, show them that you are reading, and that you care about what they have to say. In the early days of your channel, every fan counts. One dedicated subscriber who comments on all of your videos is much more valuable than 100 viewers who exit halfway through the video. By participating in discussions you can create a sense of community and make people feel like their voices are heard. Pickup instructor Owen Cook is a great example of a YouTuber who engages “haters” in a positive, constructive way. Note: Engage the haters and trolls too! Just make sure not to argue with them or participate in their negativity. If your audience sees you in the comments responding to hate with compassion and concern, you will be rewarded and appreciated. If you decide to fight back and have petty arguments with trolls, it will have the opposite effect. 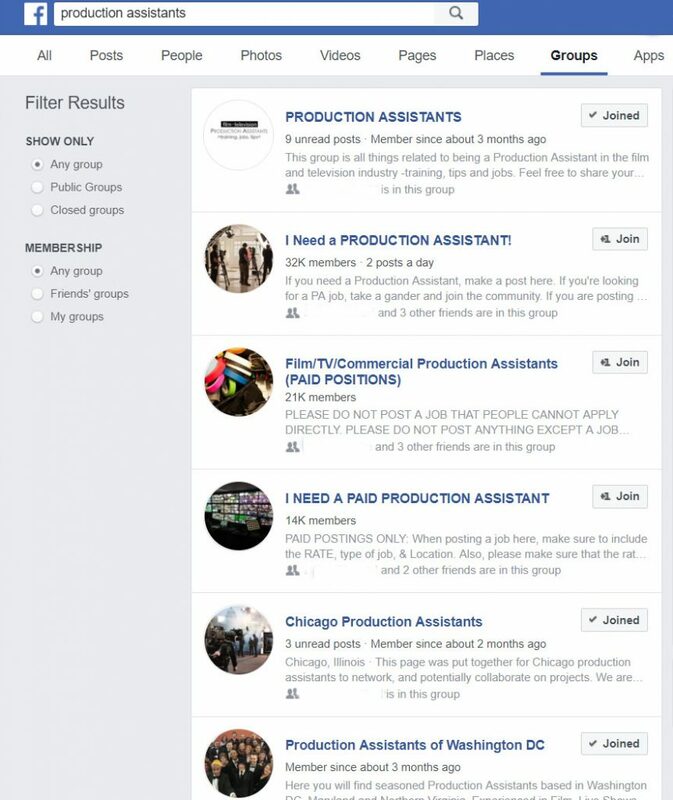 Every Production Assistant Post I make on this site is shared throughout many of these groups, and is met with outstanding engagement. The best product in the world will go completely unsold if not paired with proper marketing. Outreach is an incredibly valuable tactic when executed properly, and it is easier to do than you might think! If your outreach is tactful, you will not only bring eyes to your video – you will make quality connections with important people, and build your audience for future content. Not all sharing necessarily has to be to social media platforms. Many communities have active forums or subreddits that are full of people that want to see your content! Be careful though – many of these communities have strict anti-self-promotion rules if you do not actively participate in the communities. So do just that! Comment on posts and engage in meaningful discussions with members of the community. When you do end up sharing things, it will be welcome with open arms. Here’s a huge tip that helped take my digital marketing to the next level – join all the Facebook groups in your niche on your personal account. These groups are full of countless potential fans who are already actively looking for your content. If your content is good, you can expect excellent engagement from these viewers, and they’ll keep coming back to you in the future! With that being said, if you’re planning on being a career YouTuber and don’t have social media accounts for your channel, you’re missing out. Of course, you should prioritize your content over everything, but when you have a minute, put together a solid profile for all the platforms relevant to your content. By knowing the ins and outs of each platform, you can maximize their potential. Instagram is great for engagement and running viral contests. Facebook is an excellent tool for getting video shares and creating off-site discussion. Snapchat is awesome for engaging with your audience and promoting a personal brand. When posting to social media, you’re going to want to make sure you are supplying value to your followers. Gary Vaynerchuk’s book, Jab, Jab, Jab, Right Hook is the bible on doing this properly. In essence, the lesson is that you should be supplying value 3-4x as often as you are promoting yourself. Of course there’s ways to combine the two, but make sure that you’re not just spamming your followers and telling them to go watch your video. Post memes related to your niche or helpful tips, and then every once in awhile, let them know you have a new video up! Your analytics are more than a quick way to give yourself a dopamine rush when you get views. By carefully monitoring your analytics and seeing which demographics your content is popular with, you can cater to them and help them further enjoy your videos. You have to know who your audience is before you can figure out how to appeal to them. Noticing that your main source of views is women age 45-55? Maybe cut down on your swearing and start talking about your great new skincare routine! Do the analytics say that you’re killing the 18-21 male demographic? Try including some hot girls in your videos and stop complaining about healthcare legislation. Your branding throughout your channel and social media should be heavily influenced by the demographics you are performing well in. Alone, this tactic may have you banging your head against a brick wall. However, when combined with the other strategies we have mentioned in this guide, this could be the best piece of advice you ever read. Once you have figured out what the optimal upload time is for your target audience, the key is to upload consistently at pre-established times. Include information regarding your release schedule in your channel media and your outro. Set a reasonable weekly timetable of video releases (No, not a new video every day. Not unless you’re Logan Paul.) and make sure you stick to it. Your subscribers will take note of your release schedule and begin to watch your videos as they release. This will ensure that your videos get a big boost of views when they need it most – the small window of time after an upload. Finally, an easy way to gather new viewers who actually care about your content is to funnel them to the appropriate content! Create several custom playlists on your channel to guide viewers to similar videos that they are statistically likely to enjoy. This is a great way to not only increase your video’s views, but improve the overall standing of your channel. Feel free to add in videos from your collaborators that fit the bill as well! That’s all we’ve got for now. We’re confident that if you implement these tips, your YouTube views will soar higher than they have ever been. We tried to stay away from the typical advice in favor of unique, actionable tips. Remember: You don’t have to do any of these things! There are tons of YouTube channels out there that literally follow none of these guidelines and still accumulate millions of subscribers. These tips are here just to help you make the process as easy as possible. Just be good to your audience, focus on making the best video possible instead of how many views you are getting, and you’ll make it. If there’s any major tips we’ve missed, please leave a comment below and we will be sure to add them. Found you via reddit. Your opinion on tags woke me up. Every pro I read about RAVES about the importance of creating the right ones. I love the idea of creating videos that create binge watching. I’ve been doing some research on Psycholinguistics and Edward Bernays’s work. There is some incredible selling techniques out there.